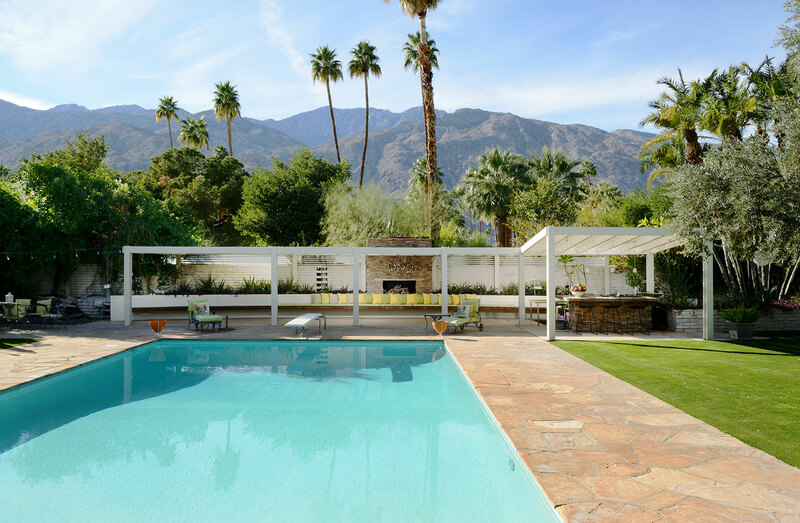 This Palm Springs property is a piece of classic mid-century modern design – created by the architect that shaped the city’s style. 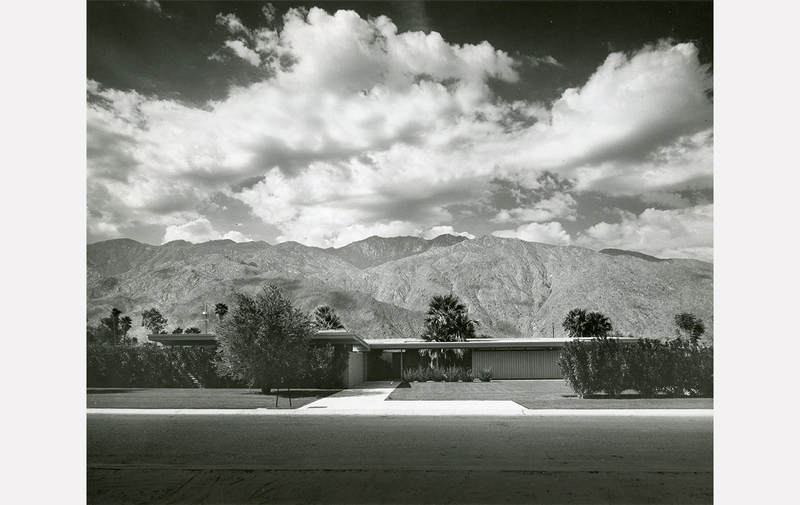 Koerner House is an influential part of Palm Springs’ architectural history, designed in 1955 as a rare private commission for E Stewart Williams. 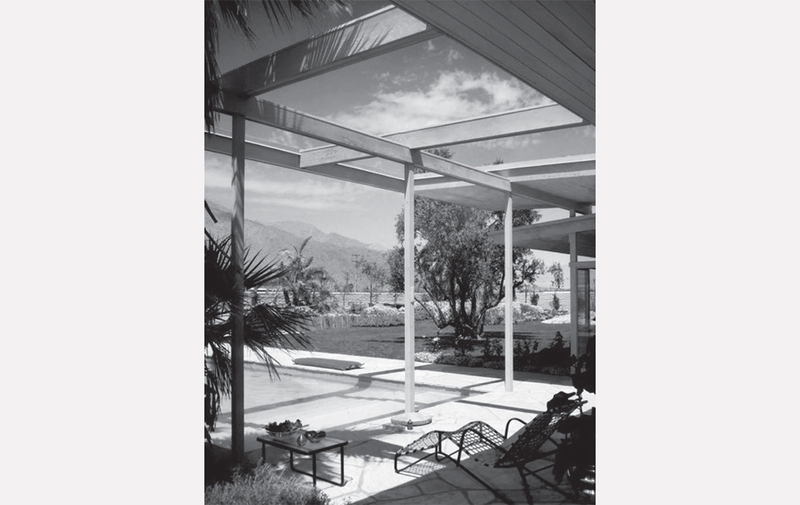 The American architect designed several significant homes across the Coachella Valley, including a house for Frank Sinatra – who liked Williams’ Twin Palms design so much he abandoned his original request for a Georgian-style mansion. Other major projects include the Palm Springs Desert Museum, and Coachella Savings and Loan. 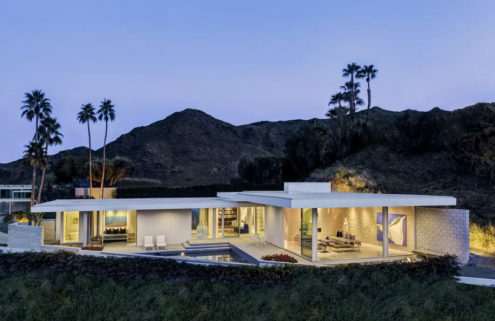 E Stewart Williams’ low-lying post and beam house – on the market with Erbe + Blackham for $3.35m – is lined with glass walls that look out onto the nearby Mount San Jacinto. 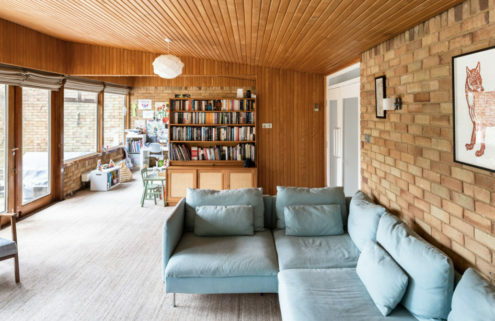 Faithfully maintained by its current owners, the 4,200 sq m mid-century modern design still has several period details including teak panelling, clerestory windows and a stone fireplace. 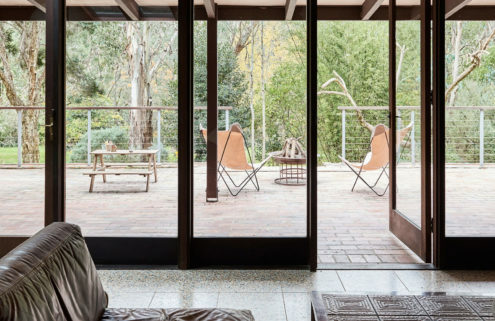 If some of its features look familiar that may be because the house played a starring role in the 2006 film Alpha Dog, when a kidnapped teenager is imprisoned inside the home. 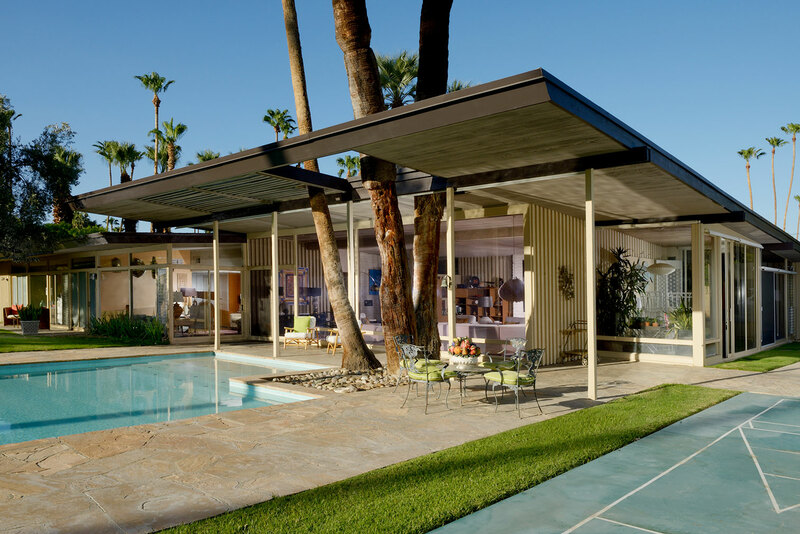 As well as its many original elements, the Palm Springs property – designed as a winter desert retreat for its first owners – has some unusual features, including an indoor garden, a separate Japanese teahouse, and shuffleboard courts. 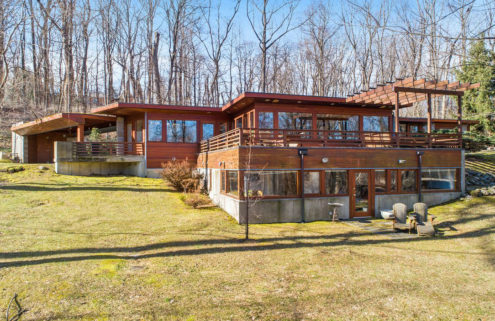 Koerner House’s one-acre grounds were designed by the office of Eckbo, Dean, Royston and Williams, and have cactus gardens and boulder beds, a swimming pool and spacious grassy lawns. 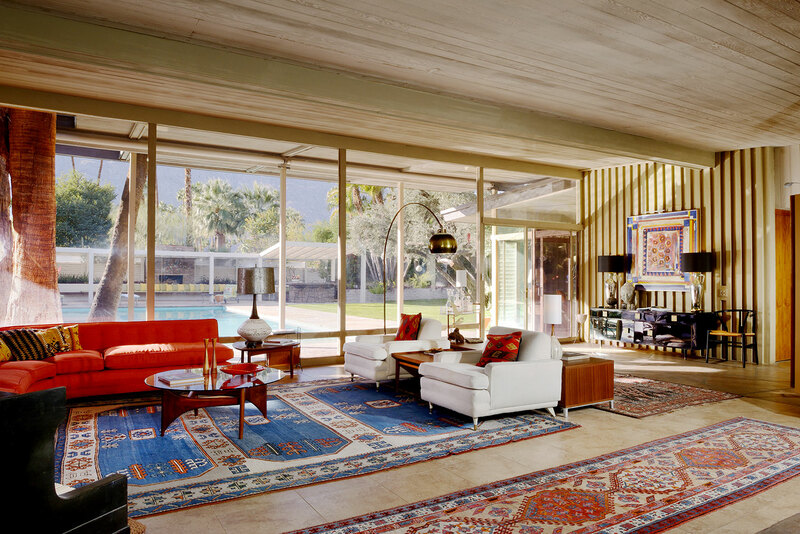 It’s the first time the house has been listed in two decades, and is one of several important Palm Springs properties to hit the market in recent years – including Elvis’s honeymoon pad and John Lautner’s Diamonds Are Forever home.